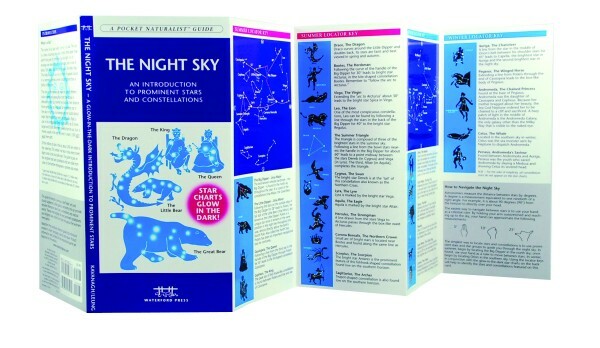 The Night Sky, An Introduction to Prominent Stars and Constellations, is a GLOW-IN-THE-DARK pocket reference from Waterford Press to the night sky in the Northern Hemisphere. The Night Sky is the perfect, folding GLOW-IN-THE-DARK pocket reference to the night sky in the Northern Hemisphere. Guide highlights prominent constellations and stars that are visible with the naked eye from cities throughout North America. 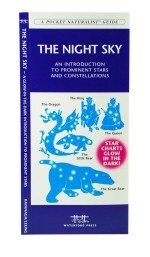 Simply shine a flashlight on the guide to illuminate the constellations and their names during summer or winter. Laminated for durability, this handy Pocket Naturalist Guide from Waterford Press is a great source of portable information and ideal for field use by novices and experts alike. Over 100,000 sold.